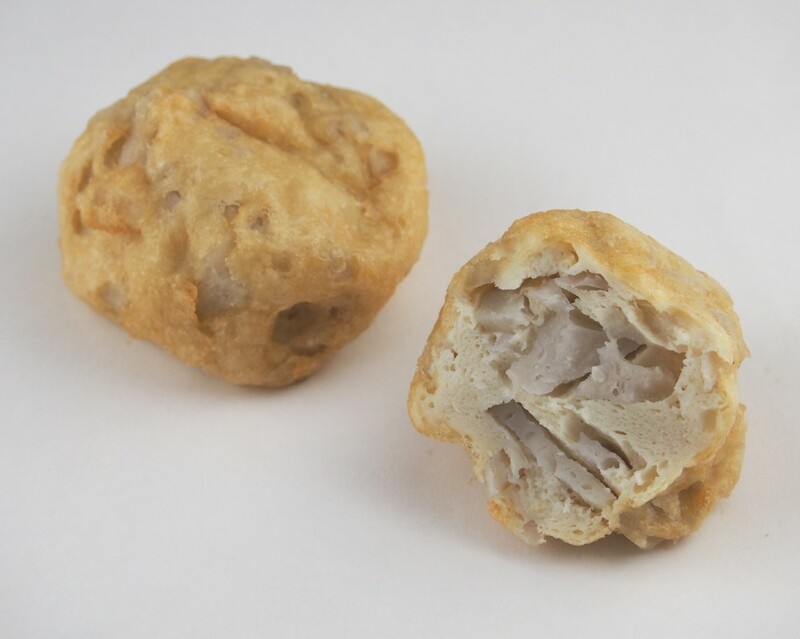 Products | Habutae Tofu Co., Ltd.
What is Veggie Tofu Nugget? Veggie Tofu Nugget is a processed food made of tofu. We mash tofu and mix it with sliced vegetables. Then we make it into a ball and fry it with vegetable oil. We call it Veggie Tofu Nugget. Veggie Tofu Nugget has 700 years of history. Buddhism was introduced to Japan in the early 6th century. Buddhist teachings prohibited the killing of animals and as a result, Buddhist monks did not eat meat in those days. They supplemented protein with soybeans. In 14th century, shojin ryori, the Buddhist vegetarian cuisine, had developed and consequently they began to eat deep-fried tofu as a substitute for chicken meat. This is the beginning of Veggie Tofu Nugget. Our products are ideal food for health-conscious people. Tofu is naturally gluten-free and is ideal for people allergic to gluten. All our products are made from carefully selected high-quality non-GMO soybeans. Tofu is an important source of protein and an attractive option as a meat substitute for not only vegetarians and vegans but also health-conscious people. The following are our main products. Many green soybeans are included in the nugget (about 30% of the total). 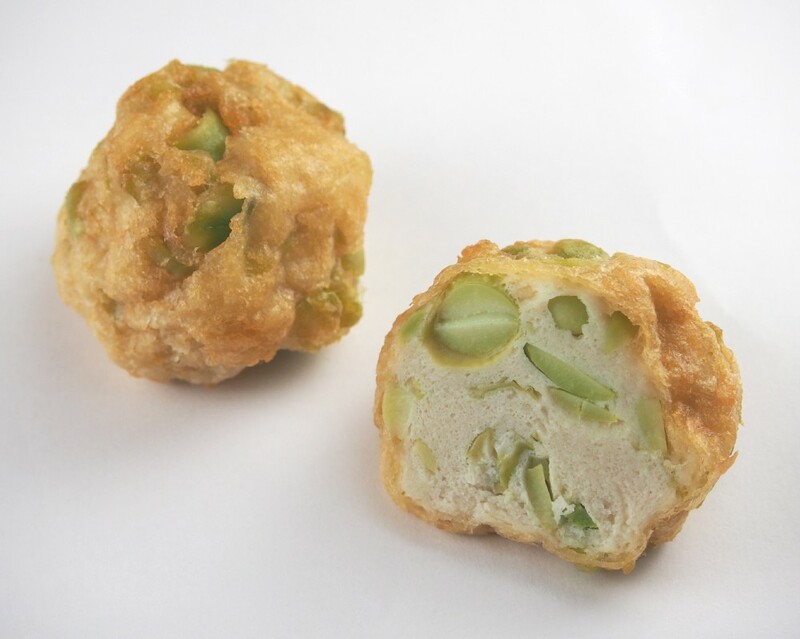 You can enjoy a soft texture of green soybeans. Many lotus roots are included in the nugget (about 30% of the total). You can enjoy a crunchy texture of lotus roots. 1.Tofu provides overall nutrient benefits. 2.Tofu is rich in high quality vegetable proteins. 3.Tofu contains isoflavones,well known anti oxidents. 4.Tofu increases amount of calcium. 5.Tofu's amino acids burn body fat. 6.Tofu's fat helps reduce cholesterol. 7.Tofu is rich in vitamins and minerals. Copyright (C) Habutae Tofu Co.,Ltd. All Rights Reserved.